Prof. Rajendra Prasad is a nationally acclaimed Chest Physician, possessing nearly 4 decades of illustrious teaching, research and administrative experience with proven excellence in quality patient care. He is also Honorary Consultant to Armed Forces Medical Services, India in Respiratory Diseases. He has a unique distinction of being President of all major Scientific Bodies in the field of Pulmonary Medicine in India viz., National College of Chest Physicians India; Indian Chest Society; Indian College of Allergy; Asthma & Applied Immunology; Indian Association for Bronchology. Besides holding several prestigious Fellowship of reputed National and International Organizations, he was also elected Fellow of the National Academy of Medical Sciences India in 2005. He is also in the Editorial Board of almost all the reputed journals in the field of Pulmonary Medicine. He has supervised about 150 Researches, Published 6 Books and contributed Chapters in 40 Books. He has over 200 publication including review articles and editorial in leading peer reviewed scientific journals of National and International repute. He has presented over 1000 guest lectures and scientific papers at various National and International meetings/conferences. His pioneering contribution in the field of Tuberculosis and Multidrug Resistant Tuberculosis (MDR-TB) has been widely acclaimed all over the country. He has made substantial contribution in the area of other respiratory diseases commonly prevalent in our society like Asthma, Allergy and Allergic Bronchopulmonaryaspergillosis. His pioneering contribution in smoking especially Bidi Smoking and Biomass Fuel use and their association with common Respiratory Diseases like Lung Cancer, COPD and Tuberculosis is well known. Prof. Prasad is unequivocally, a well known authority in the field of tuberculosis. He took keen interest in Revised National Tuberculosis Control Programme (RNTCP) from its inception and he was instrumental in establishing RNTCP DOTS Center in K G’s medical college, which was among the first DOTS center to run in a medical college campus in India. As the chairperson of state task force of Uttar Pradesh and North Zone of India to involve medical colleges in Revised National Tuberculosis Control Programme (RNTCP), Professor Prasad played a pivotal role in involving all the government as well as private medical colleges of 8 States (UP, Uttaranchal, Delhi, Chandigarh, Punjab, Haryana, Jammu& Kashmir and Himanchal Pradesh) in this programme. In fact, he is rated very high amongst the advocate of Revised National Tuberculosis Control Programme. He has been an expert member of various health relating committees of Govt. of India and other Scientific Bodies. Prof. Rajendra Prasad, apart from being a Clinician par excellence, he is also very popular Medical teacher in Pulmonary Medicine. He has devoted all his energy in Promoting medical education, patient care and research. Within 14 years of heading the department at K.G.’s Medical University, Lucknow; he is very well known for successfully transforming the department of Tuberculosis into a well-recognized Department of Pulmonary Medicine by introducing and developing more than half a dozen specialist services including Video Bronchoscopy, first of its kind in the State of Uttar Pradesh, Medical Thoracoscopy, Thoracic Oncology Unit: Air Pollution related diseases Diagnostic Centre and Sleep Lab. Professor Prasad has been a mentor of many students, who are now assuming important positions in Pulmonary Medicine throughout the country. 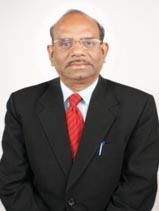 Prof. Rajendra Prasad has been a recipient of more than 30 awards including “Charu Chandra Das Memorial Award” of Tuberculosis Association of India in 1993 for his meritorious work in the field of tuberculosis, “NCCP (I) - Cipla Chest Oration Award” of National College of Chest Physician India in 2000 for his contribution in the clinical aspects of Respiratory Medicine; “UP Ratna Award” in 2004 for distinguished contributions in Pulmonary Medicine; “O.A.Sarma Oration Award” of Indian Chest Society in 2006 for Significant Contribution in Pulmonary Medicine; “M. Santosham Oration Award” of Indian Association for Bronchology in 2007 for significant contributions in development of Bronchoscopy in India; “D.N.Shivpuri Oration Award” of Indian College of Allergy, Asthma & Applied Immunology in 2008 for contributions and distinguished scientific attainments in the field of Allergy, Asthma and Immunology; “ICS Honour Lecture Award” of India Chest Society, in 2009 for over all development of Pulmonary Medicine in India; “Dr. Reddy’s Lung Cancer Oration Award” of the Indian Society for Study of Lung Cancer in 2011 for significant contribution in the field of Thoracic Oncology in India; “Prof. Raman Vishwananthan Memorial Chest Oration Award” by National College of Chest Physicians, India for significant contribution in Chest diseases and allied discipline in 2011; TAI Oration Award of Tuberculosis Association of India in 2013; VigyanGaurav Award (lifetime achievement award for scientific research)of Council of Science and Technology, Government of Uttar Pradesh, in 2014;and LMA Transformation Leadership Award 2014 of the Lucknow Management Association (LMA) for his exemplary contribution and for a long career in the field of Pulmonary Medicine in 2014.